I've never seen these signs myself, but I have heard warnings about letting people tailgate behind you into your building or office which is basically the same warning as above. I've also gotten into places by using precisely that method. 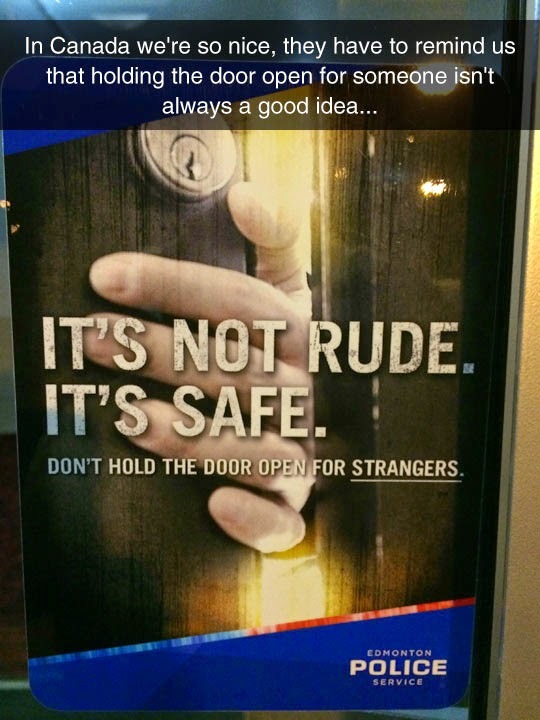 We really do need to keep our niceness in check up here in Canada, it seems.